I’ve been doing a fair amount of teaching recently, which in actual fact seems to require a fair amount of planning and organising (apologies to all teachers that I’ve laughed at when they complain about lesson planning!). 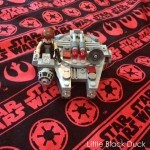 I have been itching to do some sewing for myself, but recently on the agenda has been a Lego Plat Mat and Storage Bag. 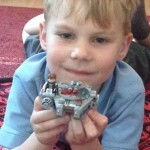 My nephew has just turned 6 and is totally obsessed with Star Wars and Lego, so one Star Wars Lego Play Mat coming up! There are a number of tutorials on pinterest, but this Toy Bay & Play Mat tutorial from FabricMill looked, simple, clear and just what I was looking for. 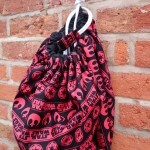 I found the perfect Star Wars fabric at Frumble Whilst I was in Maidenhead the other weekend I popped into the rather lovely Sew Crafty for some black cotton lining fabric and some cord for the drawstring. Proper service with a smile! I followed the tutorial fairly much as it was written and I must say I was pleased with the result. 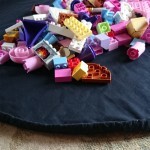 So, here’s my finished Lego Storage Bag and Play Mat, what do you think? Have you tried any projects from Pinterest lately? I’ve got so many saved, and just not enough time to make them all! This in no way will accommodate all of Sam (and his Dad)’s Lego collection. According to my sister in law the garage is full of it!